Canton of Vaud became a strong partner with swissnex China since November 2012. This autumn, further partnered with us, in order to develop new collaborations and continue existing relationship in the fields of Health Science and Business Administration, 2 delegations paid fruitful visits to East China. September 11-20, in the field of Nursing and Physiotherapy between Swiss and Chinese universities, a delegation composed of Ms. Maxline Stettler, the Director of International Affairs, Board of Higher Education, Canton of Vaud together with two professors of the School of Health Sciences of the Canton of Vaud paid fruitful visits to medical institutions in East China. Their meetings with Shanghai University of Traditional Chinese Medicine and School of Medicine of Shanghai Jiao Tong University were the first exploring that Swiss universities link the application of traditional Chinese medicine to clinical research projects. During the mission, the delegation also visited Wuxi and Nanjing as the two cities have played key roles in the development of using Chinese traditional medicine in researches and therapy. 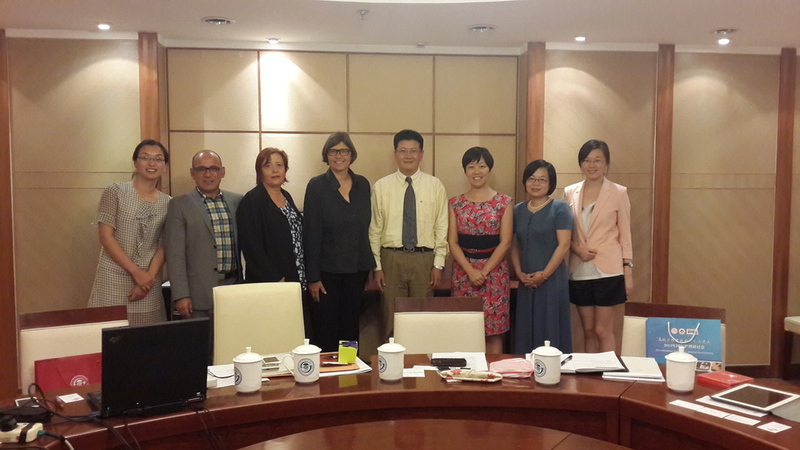 October 15 -16, in the field of business administration, in accordance with the MoU between Canton of Vaud, the university of HEIG-VD and Shanghai University (it was signed during the mission of the director of International Affairs, Board of Higher Education in September), a delegation composed by 2 professors from HEIG-VD spent 2 whole days in Shanghai University. After the meetings, the curriculum of the joint research project naming “doing business in Switzerland/China” was well established. Different from other exchange programs and long-term research cooperation, this initiative creates a new idea of “small group, short period, deeper focus, full tailor made and practice oriented” perspectives of international collaborations. The year of 2014 will be a year for harvest of Canton of Vaud throughout all efforts made in this year. swissnex China is expecting more scholars from Vaud.